Dr Natalie Suckall is Senior Research Fellow within Geography and Environmental Science at the University of Southampton. Natalie has a broad research focus on the human-environment relationship. More specifically, Natalie’s work examines the social dimensions of climate change in low and middle income counties. This includes research on: adapting rural livelihoods to environmental and climate change; the links between climate, urbanisation and migration; and, the impact of climate change on achieving development goals. To understand the complex relationship between environment and society, Natalie takes an interdisciplinary approach using theories and methods from both the natural and social sciences. Natalie has extensive experience of working in rural and urban Africa, especially Malawi, Ghana and Tanzania. She has also worked in Asia and the UK. Natalie has presented her research at high-level international conferences and has designed and conducted training workshops on participatory tools for natural resource management in Zanzibar and Ghana. Natalie has undertaken consultancies for various organisations, including the U.S. Army Corps of Engineers, the United Nations, the British Library and Hiroshima University, Japan. 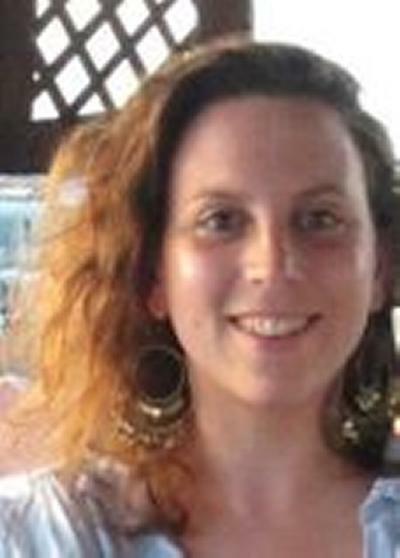 Natalie joined the University of Southampton in 2014 to work on the Deltas, Vulnerability and Climate Change: Migration and Adaptation (DECCMA) Project. The DECCMA Project is funded by IDRC (Canada) and the UK's Department for International Development (DFID) through the Collaborative Adaptation Research Initiative in Africa and Asia (CARIAA) programme. Before joining Southampton, Natalie was a post-doctoral researcher at the Centre for Climate Change Economics and Policy (CCCEP), a joint institute between the University of Leeds and the London School of Economics. Natalie's work examined the synergies and trade-offs between adaptation, mitigation and development within fishing and farming communities in Zanzibar, Tanzania. DEltas, vulnerability and Climate Change: Migration and Adaptation (DECCMA) Project (funded by IDRC and DFID). DECCMA aims to understand how communities in four deltas will adapt to environmental change, including climate change and sea-level rise. There is a particular focus on understanding how and when communities may use migration. The three delta research sites are the Volta (Ghana); the Mahanadi (India); and the Ganges-Brahmaputra (Bangladesh and India). This project explored the synergies and trade-offs between adaptation, mitigation and development in coastal East Africa. Natalie examined how coastal communities in Zanzibar respond to climate change and how these responses create trade-offs between adaptation, mitigation and development. She also examined mechanisms for creating low carbon, climate resilient futures through development interventions in rural sub-Saharan Africa. This interdisciplinary project used interviews, participatory methods and agent-based models to anticipate and manage change in the UK’s uplands. The research combined knowledge from local stakeholders, policy-makers, social scientists and natural scientists to identify policy solutions that appealed to multiple stakeholders. This project was part of the UK Government’s Development Partnerships in Higher Education (DelPHE) programme. Researchers from the University of Leeds worked with teams from the University of Cape Coast in Ghana to build the institutional capacity needed to design and promote sustainable land reform policies in West Africa. Sallu, S., Suckall, N., & Reed, M. (2009). Participatory methods training in Malawi. Leeds, GB: University of Leeds Press. Suckall, N., Fraser, E. D. G., Cooper, T., & Quinn, C. (2008). How class shapes perceptions of nature: implications for managing visitor perceptions in upland UK. In A. Bonn, T. Allott, K. Hubacek, & J. Stewart (Eds. ), Drivers of Environmental Change in Uplands (pp. 393-403). New York, US: Routledge Studies in Ecological Economics. Biggs, E. M., Suckall, N., Duncan, J., Watmough, G. R., & Jones, L. (2012). Sustainable development in rural populations: an agenda for future research. Paper presented at Proceedings of the Cumberland Lodge Colloquium "Sustaining the World’s Rural Populations", United Kingdom.